Are you seeing a flash of a white or gray screen for several seconds before each page loads? This guide will show you how to fix this misconfiguration of your settings with some Google Optimize troubleshooting. Every time any public page loads it presents with a full grey screen for a few seconds before allowing the page to load. These settings are there to avoid a flash of content changing if the site visitors connection is slow. These setting by themselves don’t result in this issue most of the time. 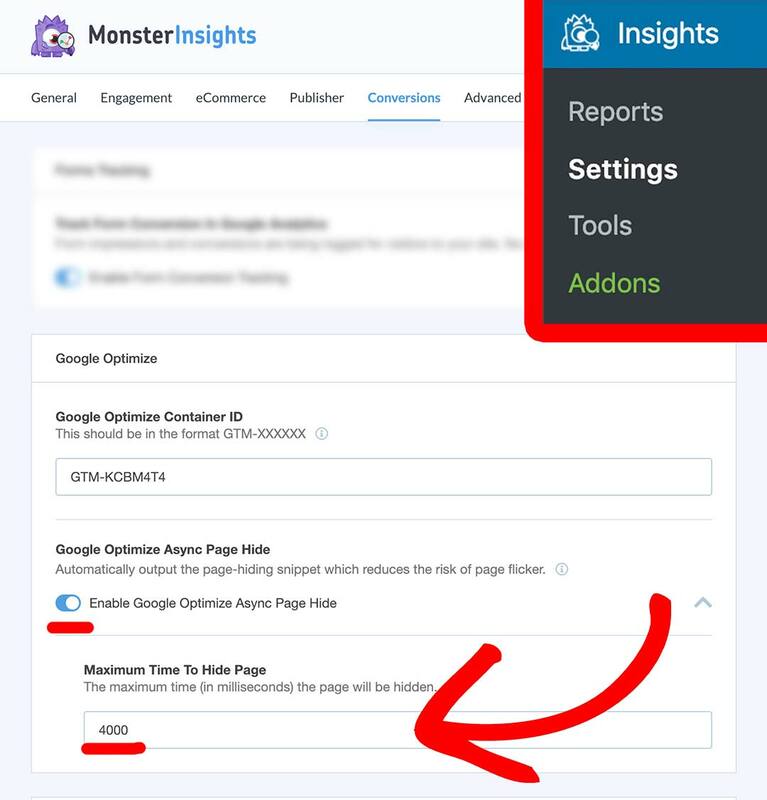 But if you haven’t published the Google Optimize Container, then MonsterInsights waits for Google Optimize container to load. But since the container published at optimize.google.com, it never loads. Since it never loads it causes a blank screen for the full 4 seconds. To fix this problem, you’ll want to ensure you publish your Google Optimize container at optimize.google.com. To avoid this issue, and finish setting up Google Optimize, please see our guide on this matter: How to Set Up Google Optimize in WordPress (the Easy Way). That’s it! Now you know how to fix the flash of a white or gray screen for several seconds before your site loads. We have more docs on setting up Google Optimize for WordPress. After you’ve fished started with that setup, you might be interested in our step-by-step guides to take your Google Optimize tests to the next level.